Implant Dentistry is the most advanced therapy available to replace missing teeth, because implant restorations generally look, feel, and act like natural teeth. This field has advanced greatly through the years. 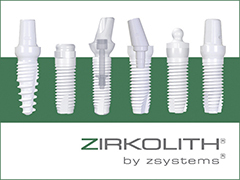 Through research, new implant designs and surface textures have been developed which help dental implants integrate much faster. 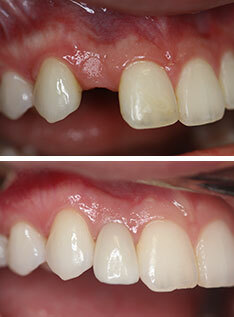 This allows the practitioners to place and restore these implants much earlier than in the past. Now, in certain instances, it is possible to place the dental implant on the day of the extraction and restore it with a provisional (temporary) crown. This way there would be no need for a removable temporary prosthesis.